Tech businesses are at the heart of the UK economy and are playing an important role in driving growth. 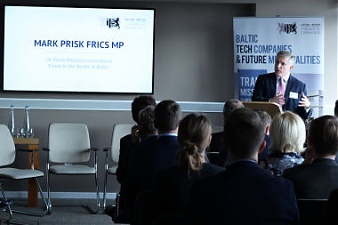 It is great to admit that the Tech partnerships between the UK and Baltic states continue to thrive. 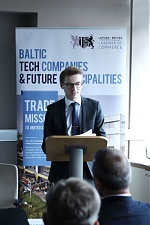 This year’s Trade Mission brought together fast growing IT companies from the three Baltic countries - Latvia, Lithuania and Estonia - in order to create new international business partnerships and exchange of new ideas. 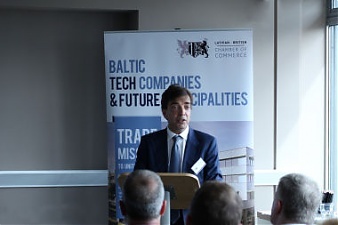 The trade mission also brought together a range of high-profile guests, speakers and entrepreneurs from across the UK digital business world to discuss the various opportunities and challenges Baltic technology companies and municipalities have within Innovation, Finance and Future Cities Technology. Marcis Liors Skadmanis, Executive Director & Chairman, Latvian-British Chamber of Commerce said: "This year we invited more than 30 talented Baltic Tech entrepreneurs to London and Bristol, they are living proof that information technology and innovation isn’t just a concept. They were from Award winning software companies to largest mobile development, e-commerce and innovation companies. We know the UK is a world leader in information and communications technology industries. It is the highest net exporter of computer and information services among the G7 countries. The UK is at the forefront of using technology to shape new services and organisations. Huawei, a Fortune Global 500 company and leading provider of global information and communications solutions, have compiled the first UK Smart Cities Index 2016 placing Bristol amongst the top ten in the country. Bristol is identified as one of only two cities in the UK named as a smart city Leader, the other being London. These two cities have set themselves apart from the others through their clarity, breadth and inclusiveness of their smart city visions and planning, and are leading the way in implementing significant projects at both the pilot and full-scale levels." The high-profile guests, speakers and entrepreneurs of this Trade Mission shared their thoughts and congratulated the Baltic delegates on taking first steps towards a successful collaboration. Mark Prisk FRICS MP, UK Prime Minister‘s Investment Envoy to the Nordic & Baltic said: “I am delighted to welcome you to the United Kingdom. We value our friendship with the people of Latvia and look forward to increasing our mutual trade and investment. The UK is open for business. We have a strong legal framework, low taxes on company profits and an educated and flexible workforce. The UK is a global centre for accessing finance and we enjoy excellent access to markets around the world. Our universities are amongst the best in the world and our science base is internationally respected.” He also congratulated Marcis Skadmanis and his team at the Latvian-British Chamber of Commerce for organising this visit and for helping strengthen the commercial ties between United Kingdom businesses and those from Latvia. “I am honoured to be invited to take part in this meeting and would like to welcome you all to the UK. Our aim is that the UK should be one of the best places in the world to do business and at Companies House we are helping to make that happen,” revealed Tim Moss CBE, Chief Executive, Companies House. (Companies House is the UK's registrar of companies and is an executive agency and trading fund of Her Majesty's Government.) He thanked the Latvian-British Chamber for organising this visit and expressed his hopes that this Trade Mission will be the start of many successful business ventures. 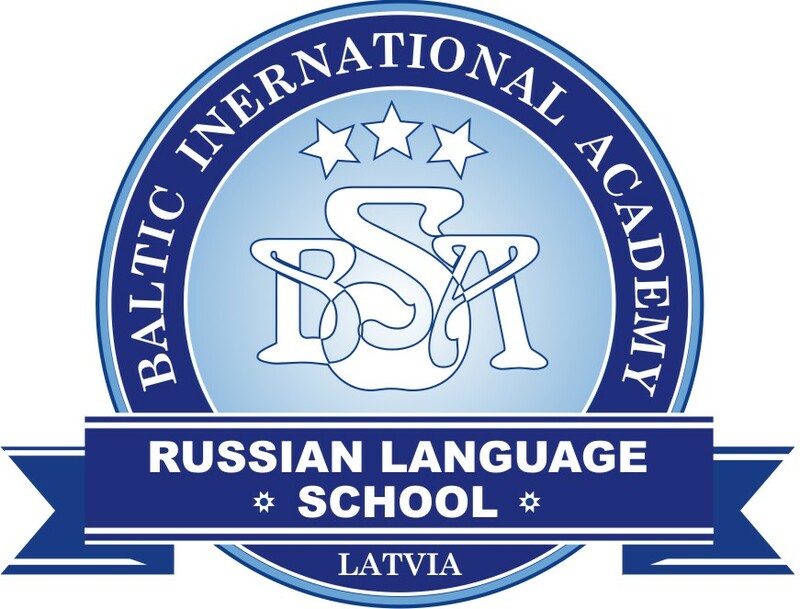 James Henderson, Chief Executive, Bell Pottinger stated: “We are proud and delighted to be hosting the opening sessions to this Baltic Trade Mission to the UK, particularly in the year you are marking the 25th anniversary of the renewed independence of Latvia, Lithuania and Estonia. 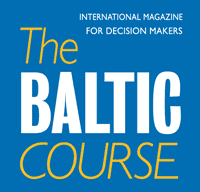 In the wake of the UK vote to leave the European Union, clear communication between Britain, Baltic States and the rest of the continent is vital and, in business as much as politics, telling a clear story has never been more important.” Bell Pottinger is the largest UK-based public relations consultancy measured by fee income. Gavin Poole, CEO of Here East emphasised: “The Baltic nations are small countries achieving big things in tech, design and entrepreneurship often leading the way in the connected products and services arena. Those qualities are also at the heart of what Here East is about and we very much look forward to welcoming and collaborating with Baltic companies in the future.” Here East is London’s home for making, located in the heart of Queen Elizabeth Olympic Park in London. It is a dedicated place for individuals and companies who embrace and pioneer technology, share expertise and are creating the products of tomorrow. Ben Brabyn, Head of Level39 warmly invited Baltic start-ups, who are known around the world for leading the charge in technology, to join and learn more about Level39 - home to the largest cluster of financial and cybersecurity businesses in London – sectors which are extremely strong in the Baltic region. Level39 is Europe's largest technology accelerator for finance, cyber- security, retail and smart-city technology companies. Heather Melville CCMI, Director of Strategic Partnerships & Head of Business Inclusion Initiatives CPB, Royal Bank of Scotland Group, Member of the Board of Trustees, Chartered Management Institute and Chair of Advisory Committee - CMI Women, Chartered Management Institute was delighted to support this Baltic Tech Trade Mission to the UK. She said: “Our partnership with the Latvian-British Chamber of Commerce dates back to 2011, whereby we have fostered new business opportunities. Our bi-yearly attendance and contribution to Baltic business conferences together with the support of the visiting Latvian entrepreneurs, who have attended our Trade Mission events have continued to strengthen our relationships further. With one main objective to help connect Baltic businesses export into the UK market.” Royal Bank of Scotland & NatWest Bank are two of the oldest, largest and most important banks in the UK. Baltic Tech delegates had a great opportunity to meet Kevin Hanley, Head of Innovation, Royal Bank of Scotland Group. In this role Kevin is responsible for the Bank’s Architecture, Data and Analytics and Lean functions, as well as for the strategy and innovation agenda for the Bank’s Services organisation. This includes responsibility for our solutions network around the world, including our corporate outpost in Silicon Valley and our innovation hubs in Edinburgh and London. Hanley introduced the delegated with the Royal Bank of Scotland (RBS) achievements and that RBS has technology scouting networks in Silicon Valley, Israel, London, and Edinburgh to make sure it is up to date with the latest technology trends. RBS also was the first financial services company to adopt Facebook at Work. RBS Group recognises that high growth, fast paced Technology and Media businesses demand a trusted, strategic thinking banking partner with the knowledge and a network to help them achieve their ambitions. The Baltic Tech delegates also met Dr Doug Morrison, Founder, 6W2X (Social Enterprise Accelerator), Founder, MARDI (Making A Real Difference Internationally) Mentor, MassChallenge UK and Level39, Dr Patricia Greer, Interim Chief Executive of the West of England LEP, Niraj Saraf, Lead Technologist, Urban Living, Technology Strategy, Innovate UK, Nick Sturge, Director, Engine Shed and many other UK Tech leaders.